Welcome to the electronic home of Pikatti American Eskimos! We believe that the Eskie is truly a breed with brains and beauty and we have strived to prove that. 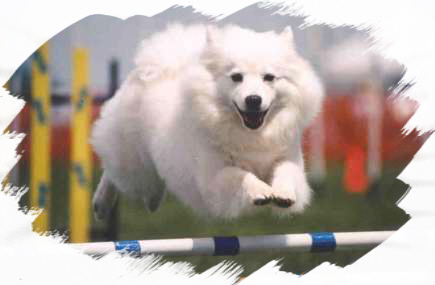 Our dogs are trained for and shown in conformation, agility, obedience, rally and herding. We eventually hope to participate in other doggy activities such as tracking, flyball and maybe even freestyle. Please come in and visit.